Some of the headstones at the Noroton River Cemetery in Darien, Conn. on Aug. 10, 2017. DARIEN — Just about 300 years ago, the Noroton River Cemetery was established on what is now the Darien and Stamford border. With a view of the water, it became the final resting place for Revolutionary War veterans, children who died of smallpox and some of Darien’s founding families. 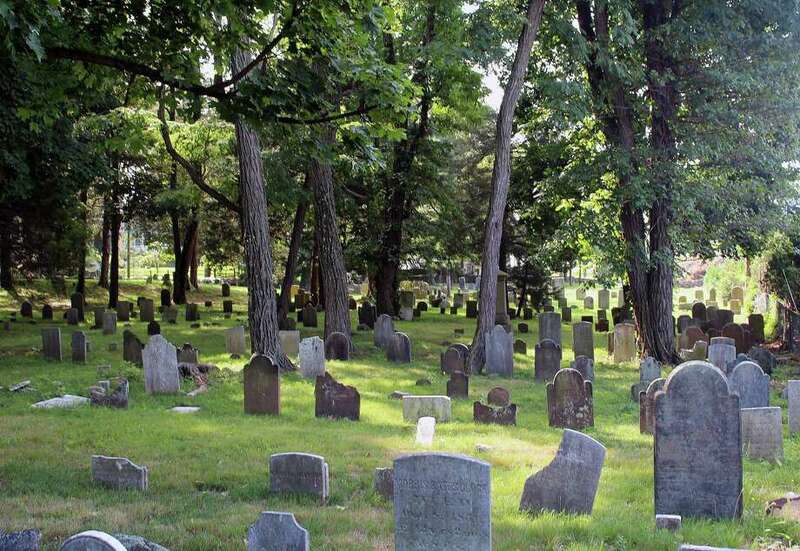 However, in the spring of 2016, when Darien resident Sharon Kells walked her dog in the cemetery for the first time since moving to Darien in the late ’70s, she saw it was not maintained as burial ground should be. Kells described the Post Road property as being nearly knee deep in trash. Kells began working into the summer and fall on cleaning up and restoring the cemetery, which she discovered was owned by the town. She helped form and was appointed chairwoman of the Cemetery Committee and has assessed five other cemeteries in town for cleanup with Vice Chairwoman Tracy Root. On Sept. 17, she’ll be honored with a Community Service Award by the Good Wife’s River chapter of the Daughters of the American Revolution. But for Kells, her work was not about getting recognized, but saving the oldest cemetery in town. The Good Wife's River DAR Chapter will present a Community Service Award to Sharon Kells on Sept. 17, at 2 p.m. at the Weed Beach Paddle Hut. During the cleanup process, Kells found additional tombstones buried under the trash that accumulated in the cemetery. Through research and records, she found around 430 people were buried there. She found headstones knocked over by tree branches and roots, storms, lawn mowers and even cows who used to graze there. She’s learned how to restore tombstones, but is planning on tackling that project in the future. Kells continues to work on maintaining the Noroton River Cemetery, stopping by on her way home from work at Wells Fargo in Westport to water the flower boxes she installed there and check up on things. On Saturday mornings, she and about 10 to 15 other people on the Cemetery Committee clean and maintain the cemetery. “In the beginning, we were all there in rubber boots, just raking,” she said. Kells has also helped plant new non-leafy trees around the edges of the property, donated by Nielsen’s and the Garden Center. Her next project is cleaning up the Bates Cemetery near East Lane.